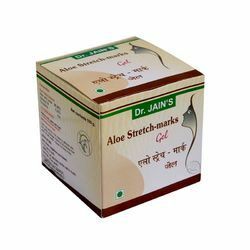 Leading Wholesale Trader of sheth brothers komla gutika, dr jain aloe stretch- marks gel, maharishi ayurveda prandhara,3ml, arya vaidya pharmacy, anu thailam, 10 ml, maharishi ayurveda asthomap tablets and nutricharge man daily health supplement, chocolate 30 tablet from Mumbai. No animals are used in testing these products. Literally meaning flow of life, Prandhara takes care of some very common disodrers mentioned below, giving instent relief. Made of aromatic and medicinal oils, Prandhara is a unique product of Maharishi Ayurveda and a must for every home. 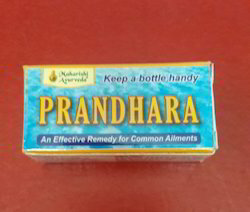 Prandhara is an unique composition of aromatic oils providing multi route therapy for common ailments like cold, nasal congestion, sinusitis, etc. 1-2 drops of Prandhara taken orally with water overcomes nausea, vomiting, diarrhoea, flatulence, spasmodic pain and locally applied relieves toothache and headache. ldear for travellijng kit. Maharishi Ayurveda combines the holistic knowledge of Ayurveda, the science of life, with the benefits of modern technology and quality control to bring you a range of highty effective Ayurvedic medicines which are free from adverse side effects. Cleanses bronchial system, counteracts respiratory allergies and tones up respiratory lining. Reduces sensitivity toallergens, improves pulmonary ventilation. 2 tablets 2-3 times a day or as directed by the Physician. Nutricharge Man is specially formulated to help heart healthy, sharpens immune system, hair and skin health and improves energy. 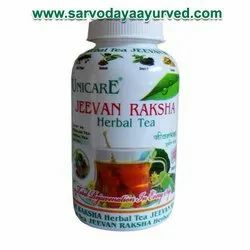 This is an advanced daily health product designed to meet daily nutritional requirement of men. 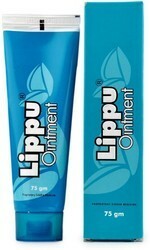 This is a combination of Botanicals, Vitamins, Minerals and Amino acids. 1 tablet in a day. 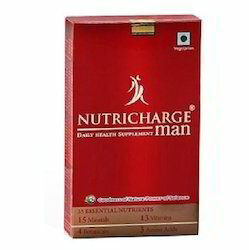 Nutricharge Man is India's only multivitamin supplement containing 35 vital nutrients. 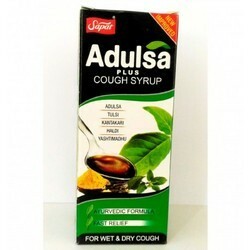 We have emerged as one of the leading supplier of a vast assortment of Omkar Adulsa Compound Syrup. The offered syrup is processed using the finest quality chemical compounds and progressive methodology at vendors’ end. In order to meet various demands of our clients, this syrup is available in different packaging options. Useful for all sorts of wet or dry cough, cold and catarrhal infections, offered syrup is strictly tested on different parameters so as to ensure its quality. Green Tea, Black Tea, Ginger, Tulsi, Black Pepper, Cinnamon, Shatavari, Yastimadha, Cardamom, Guduchi, Stevia, Ashwagandha, Ginseng, Khaskhas, Aloevera, Sucralose - q.s, Tea Masala - q.s etc. Remove toxins / blood purifier. Improve memory and concentration power. Reduce mental & physical stress. Energy drink for diabetic patient. A reliable solution for Diabetes Mellitus. 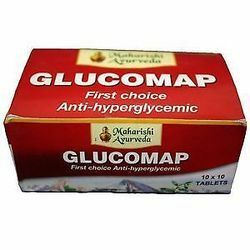 Glucomap is useful in Non-insulin Dependent Diabetes mellitus patients. Glucomap helps in protecting cardiovascular and nerve tissues from degenerative changes, protects the liver and strengthens its function. Concurrent use reduces dose of insulin also. Does not produce hypoglycaemia (lowering of blood sugar level). 1-2 tablets twice a day after meals or as directed by the physician. NutrichargeWoman It contains a unique blend of ingredients that are vital for good health. This is excellent combination of Phytonutrients, Botanicals, Vitamins & Minerals and Amino acids. It also contains 200 I.U. vitamin D.
· Botanicals contain powerful antioxidant that may help protect cells from damage. 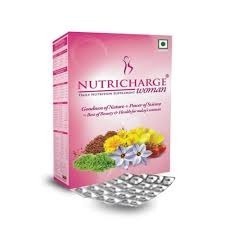 Nutricharge Woman is India's only multivitamin supplement containing 53 vital nutrients. 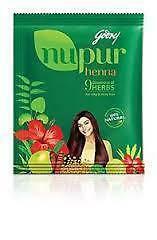 The newest blend of henna by Godrej - Nupur Henna with 9 Herbs!Godrej Nupur brings to you the best quality of Rajasthani Mehendi with nine carefully chosen natural herbs valued for their hair care benefits. The ingredients are added in perfect proportions to give your hair the fabulous shiny & silky feel that you desire every single day. Soak Nupur Mehendi for 4-6 hours to create a thick paste. Apply the mixture and leave on hair for 3-4 hours. Looking for Other Items ?